Hey everyone! Today we’ll be talking about Sir Crocodile from One Piece and his dark secret. Crocodile is the former leader of Baroque Works and was introduced as a Shichibukai during the Alabasta Arc and Saga. One of the longest lasting villains in One Piece and the first person to utterly defeat Luffy. He possesses the Suna Suna no Mi and also attacks using his hook as a weapon. The man who brought Crocodile his downfall(Luffy), was the one who freed him from the impenetrable prison Impel Down. The one thing we should note here is what Ivankov said to Luffy before they set Croco free. He told him that Crocodile wouldn’t attempt to do anything funny, because Ivankov supposedly knew something about him. Crocodile played his part in the Marineford War after escaping Impel Down with Luffy and the others. What we learned then was that he held a grudge against Whitebeard. The reason was that he challenged him in the past and suffered a humiliating defeat. For today’s theory, let’s connect some dots now. We all know that Ivankov can turn every man into an okama. He is a miracle worker who can be described as the plastic surgeon of One Piece. 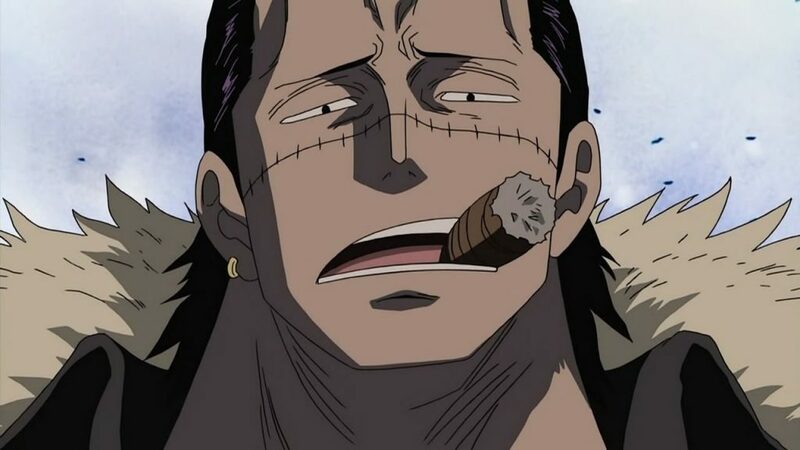 What if Crocodile’s dark secret is the fact that he actually is a woman turned into a man by Emporio Ivankov himself? Could that be the secret that he doesn’t want to be revealed? What if his scar doesn’t come from a battle, but in fact from a gender operation to change his face? Crazy, i know. It has been said that the Shichibukai are based on 7 characters from a legend. What’s interesting to note, is that one of those characters was a transgender. We know that Croco challenged Shirohige in the past. Could it be that he challenged him as a woman? Maybe he wanted to join Whitebeard’s crew, wasn’t accepted and decided to change his gender as a result? Not that possible, since Whitebeard had women in prominent places of his crew. He was a man who accepted everyone and anyone who wanted a family to his crew. So, could the scar just come from the fight the two of them had? Quite possible. An idea that sounds more possible to connect the two theories, is that Crocodile simply did something silly or embarrassing when he was a rookie. The whole thing grew out of proportion, probably making it all over the world as news, thus leaving him no choice but to change his identity and appearance, with the help of Ivankov of course. Another really interesting theory stems from the idea that Crocodile is modeled after Captain Hook from Peter Pan. He’s got the hook(duh :P) and he is also named Crocodile. That is certainly a reference to the crocodile that ate Captain Hook’s hand. Let’s remember here that Peter Pan is supposed to be a little boy that never grew up. So, what if Crocodile is actually quite young, maybe the age of Luffy or something? Due to him being unable to gain status and nakama like that, he decided to make himself look older, this way becoming a man who could be respected by his nakama. Nice idea. However, the fact that we saw Crocodile as a man(although only his back) during Roger‘s execution, may reduces the chances of this theory coming true. On the other hand, there could be another explanation. What if Croco was a man with the appearance of a weakling? Would it be possible for him to lead an organisation like Baroque Works and become a Shichibukai? Not likely. As a result, he decided to change himself into this strong looking, tall man who could make his aspirations come true. Crocodile is a man who has said to Luffy that he has learned to never trust anyone and that he believes that trust is utterly useless. He also wasn’t fooled by Robin, due to him never trusting her to start with. Why so? There are many possible explanations. First of all, he could have had a lover in the past who betrayed him(or who was even the one that Ivankov changed their gender or appearance). It is only natural for his worldview to be shattered after that. Another possible explanation is him being betrayed by his nakama. We know that at first, Crocodile wanted to become the Pirate King just like Luffy. What made him change his plans and become a shady leader in Alabasta trying to find the Ancient Weapon Pluto and attaining Utopia(he has stated that with Pluto Utopia can become your reality)? What made him change his goal? Maybe the fact that his nakama betrayed him. It could also be that his utter loss against Whitebeard and probably the loss of his hand and his scar as well had also to do with that fact. To end today’s theories, we must think about the possible connection of Crocodile and Doflamingo and the possibility that those two knew each other in the past. 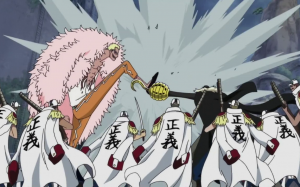 They encountered each other at the Marineford War and Doffy even made an offer to him for the two of them to team up. Why would he do that? I have two possible explanations. Firstly, it could be that they have a connection from the past. He also told Crocodile that he hadn’t changed after all. However, their relationship could be limited to their time together as Shichibukai. 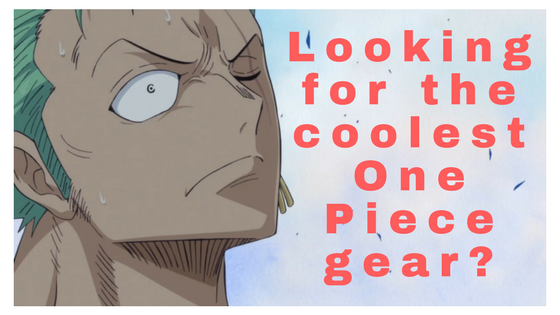 Secondly, we all know that Doffy has a thing for the new era and the new wave of pirates. We also have established, after the Dressrosa arc, that he can really plan forward and think strategically ahead. So maybe he foresaw the possible threats that may come over him such as Luffy. After all, Luffy escaped Impel Down, is a D and seems to have the weird luck that other Ds like Blackbeard have demonstrated. As a result, it’s quite possible that he decided to form an alliance and make sure he had someone to help him when the time came. What do you think holds true about Sir Crocodile and his possible dark secret and past? One Piece is full of surprises and Oda knows how to plan, so nothing would shock me. I would love to hear your thoughts on this controversial set of theories and what would be your reaction to them. 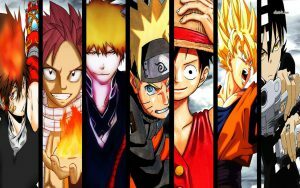 I’m astonished at the richness of the characters! I’m looking forward to peeling away more of the layers to finally understand Crocodile. What do you think in his past has made him who he is? Seems a bit trollish, but yes you never know! Quite possible! I bet on the idea that once a upon a time there was a certain couple who had a child, a female child. The child grew up watching his mother be beaten up by her father. Then on a night years later, the mother couldn’t take the beating anymore and died. The child was sold off to slave trader only to be able to scape. The child without anything, run and run until she met a big headed creature which actually was a human being. This might sound silly, but I find it odd that he doesn’t wear a ring on his ring finger (though it was his middle finger on Alabasta Arc that doesn’t have any, it was corrected for the rest of the arcs). Maybe the one who destroyed his trust was actually his lover during his rookie days. In my opinion, however, he is male by birth. Hmm, interesting concept. I don’t know if it was done intentionally but it would be an awesome idea. Thanks for the input!